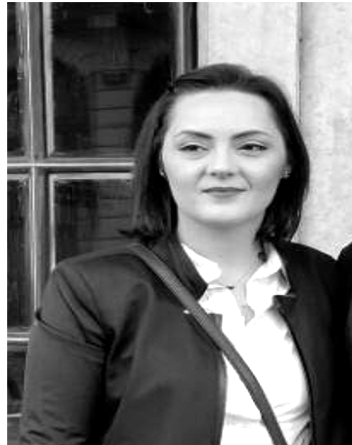 Jelena is one of the PhD students of MaREI whose research combines both Meteorology and Oceanography, focusing in particular on the high resolution numerical modelling of ocean waves with applications to the renewable energy sector. Jelena Janjić has a Bachelor and Master degree in Meteorology and is currently a PhD student at University College Dublin in Dublin, Ireland where she tutors various courses. She uses WAVEWATCH III to study waves in the Northeast Atlantic under the supervision of Professor Frederic Dias. She has been collaborating with Met Éireann meteorologists Sarah Gallagher and Emily Gleeson on a number of research initiatives focusing in particular on the high resolution numerical modelling of ocean waves with applications to the renewable energy sector. Janjić, J., Gallagher, S., Gleeson, E., and Dias, F., 2017. “Wave energy potential in the northeast Atlantic: Impact of large-scale atmospheric oscillations”. In 1st Workshop on Waves, Storm Surges and Coastal Hazards, pp. 1–5. P26. Janjić, J., Gallagher, S., and Dias, F., 2017. “The Future Northeast Atlantic Wave Energy Potential under Climate Change”. In Proceedings of the 27th International Ocean and Polar Engineering Conference ISOPE, San Francisco, CA, USA, June 25-30, 2017, pp. 199–206. ISBN 978-1-880653-97-5; ISSN 1098-6189. Janjić, J., Gallagher, S., and Dias, F., 2017. “Wave Energy Extraction in the Northeast Atlantic: Future Wave Climate Availability”. In Proceedings of the 12th European Wave and Tidal Energy Conference EWTEC, 27th Aug – 1st Sept 2017, Cork, Ireland, pp. 870:1–9. ISSN 2309-1983. Janjić, J., Gallagher, S., Gleeson, E., and Dias, F., 2018. “Wave energy extraction by the end of the century: Impact of the North Atlantic Oscillation”. In Proceedings of the ASME 2018 37th International Conference on Ocean, Offshore and Arctic Engineering (OMAE2018) in Madrid, Spain from June 17-22, 2018 (accepted). Janjić, J., Gallagher, S., and Dias, F., 2017. “Case study of the winter 2013/2014 extreme wave events off the west coast of Ireland”. Advances in Science and Research, Special Issue: 17th EMS Annual Meeting: European Conference for Applied Meteorology and Climatology 2017 (in review). Further information can be found in Jelena’s LinkedIn. She is also available on Research Gate and Research Repository.